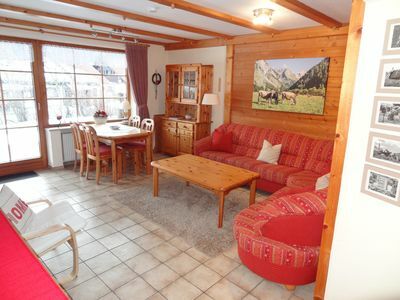 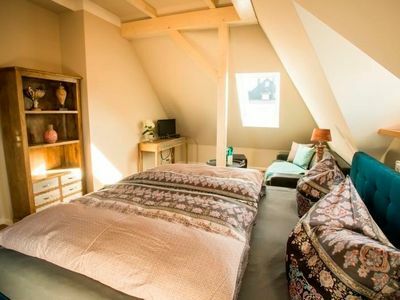 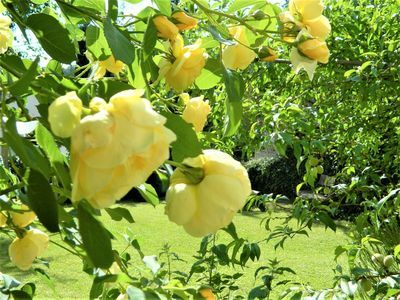 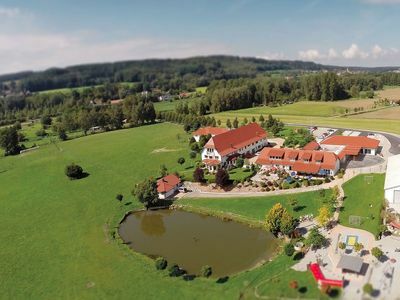 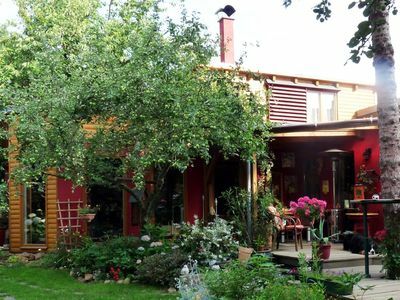 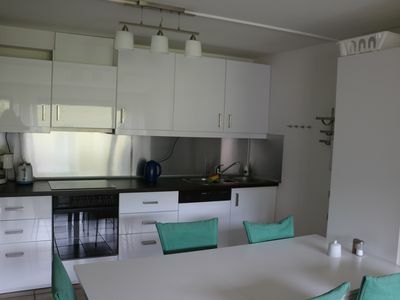 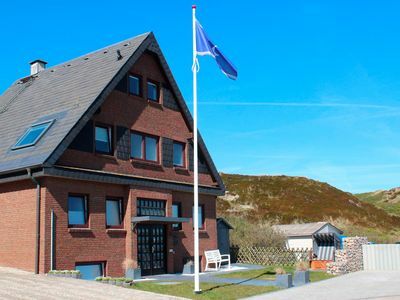 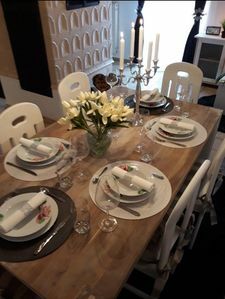 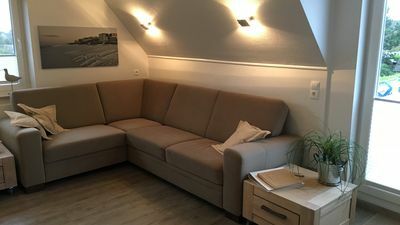 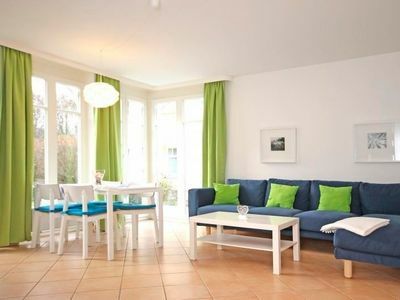 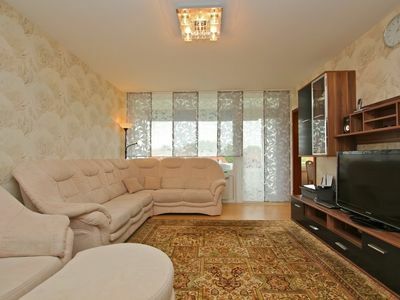 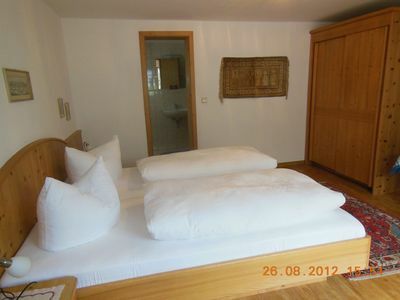 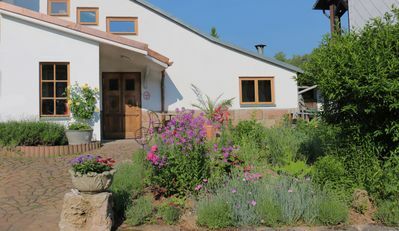 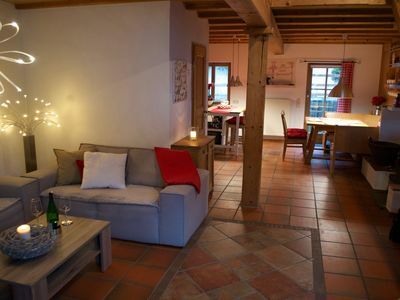 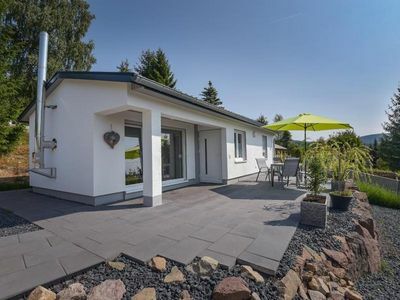 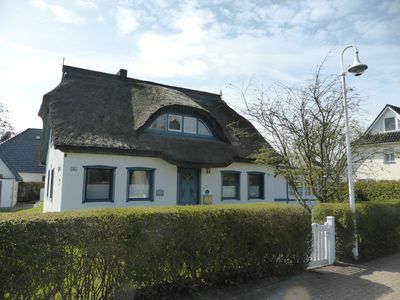 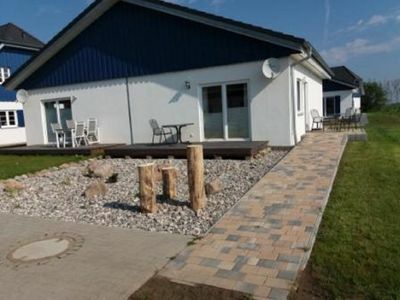 The cozy small apartment is located on the upper floor of our reetgedeckten holiday house. 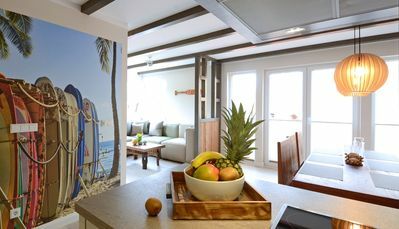 The reed-covered holiday home has been lovingly restored and welcomes the visitors with the atmosphere of a typical fisherman's house, without giving up modern comfort. 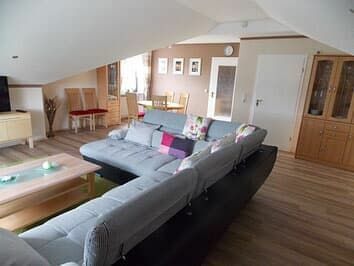 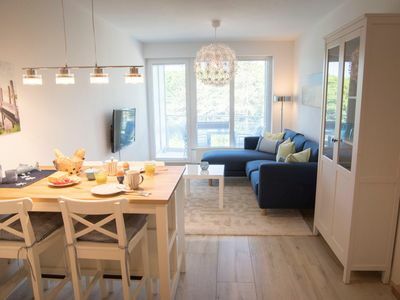 The apartment has an overall size of 55 m² and is divided into a large living room with integrated kitchen and dining area, bedroom with double bed and a bathroom with shower, WC and wash basin.